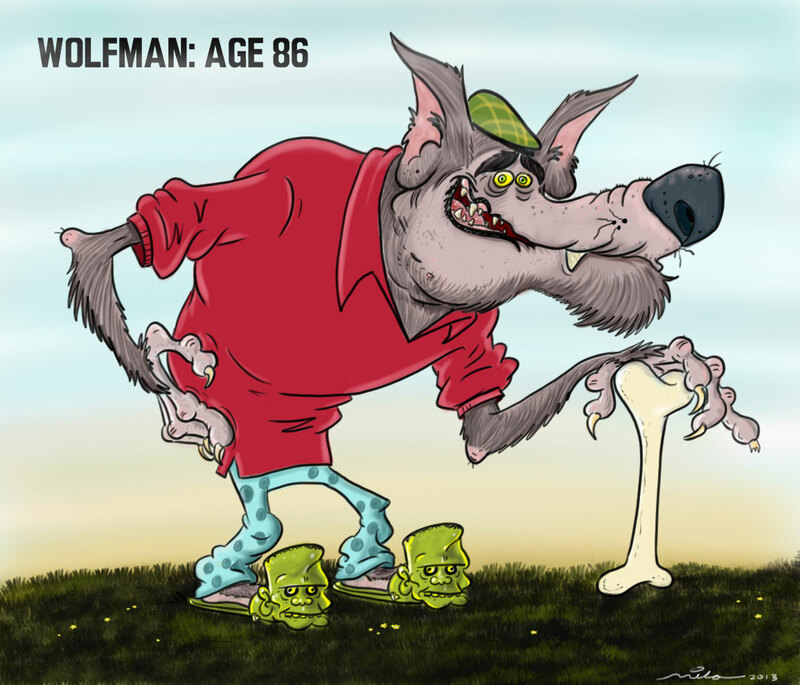 Tagged Autodesk, Bosto Kingtee, Sketchbook Pro. Good review Mike! It’s always cool to read a good detailed review to find out about other digital Art options out there. Like you mentioned in your article that there is a learning curve when switching from one tablet to another, I believe it’s the same with every Art tool or medium, there is also learning curve. I’m an Artist and Animator and when for the first time I sketched on a tablet, I found that tiny-tiny separation from the pen, glass, and screen with a micro lag that didn’t seem instant enough like ink on paper. I found it disturbing, even scary and later figured that I was somehow stuck with traditional mediums in my head only and reluctant to see the sketch-tablet as a viable way to really draw well. Pen and paper were always my best option but eventually after hundreds of sketches and Animation frames later on a tablet, I’m now glued to my tablets for sketching and Animating. The way I see it, an Artist will sketch, paint or create with anything they get their hands on so if there are other tools or mediums worth trying, check it out. I still draw with crayons on napkins whenever the opportunity arise. Thanks! Yeah all tablets suffer from that separation a tiny bit but you get used to it for sure. And I agree crayons RULE! So glad to start seeing some viable competition for Wacom. This is a solid review and goes along way to salving my mind on picking one up. Nice job and its good that you explain the fact that some of your misgivings my be related to leaned behavior rather than design flaw. 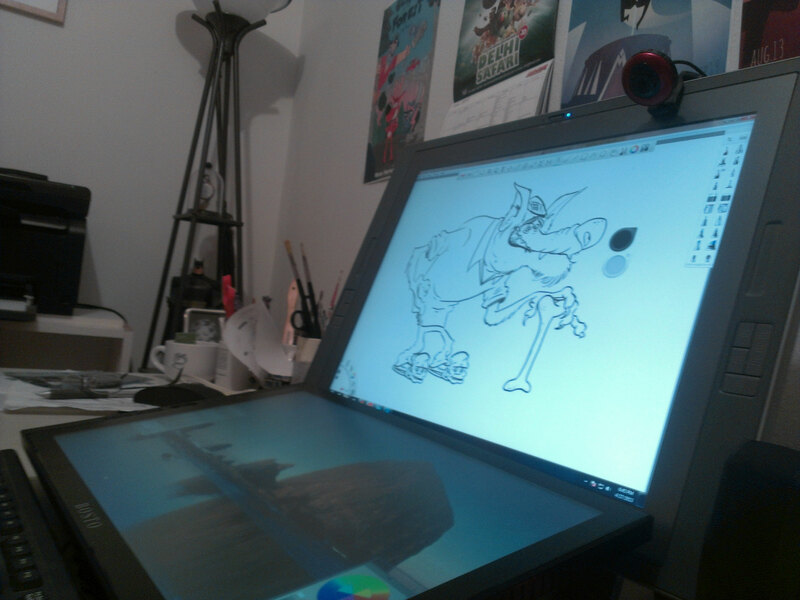 For sure… as I said in the interview if you’ve never used a Cintiq, you’ll love this device. If you have it will take a tiny bit of getting used to but in the end it’s worth it. Thank you for this extensive review, Mike! I’ve been considering purchasing a Kingtee but was holding out for more reviews. If it has your blessing, I think I might go for it! Glad I could help sway your decision! 🙂 Definitely worth it for the price! Just red the review, awesome and very FAIR review. I’m happy to hear it from a guy who knows the Cintiq tech in and out when it comes to applying it in the field. I do like the 14″ one best in many ways if only because it’s so portable! It weighs less than a laptop. Great review! Now I wonder how this compare with the Yiynova MSP19U, which I was planning to get! I’m curious about that one as well. I have heard that it does not do pressure sensitivity on all programs, specifically toonboom Storyboard Pro. i am looking for buying this tablet but i have seen some people said this tablet not working with new toon boom harmony 10 64 bit software ? is that right ? Having problems installing drivers. i keep getting message ” CreateProcess failed; code 216. this version of %1 is not compatible with hte version of Windows you’re running. Check your computer’s system information to see whether you need a x86(32bit) or x64(64bit) version of the program and then contact the software publisher. “. Im running Windows Vista 32 bit. Any suggestions? Sorry no I don’t but I suspect it’s that the drivers probably don’t support Vista. I’ll ask my contact at Bosto and see what he says. I bought a Bosto Kingtee 16 mb. When it got here, it was damaged. A part of the screen was not working. I made a video about how it was not working and sent it to customer service. “Fanly” was the person I emailed back and forth with. After about million emails she agreed on me returning the product and gave me the return address. She offered me a “free glove” to keep the product but I explained to her that it was not about my satisfaction with the product. It’s about how the product is not working. I had to return it with my money because they won’t pay for my shipping. Basically, I bought a damaged product and returned it with my money. When I try to explain this, they ignore my emails. I spoke about how my emails were being ignored on their facebook page and “Andrey”, the customer service person for Russia, replied to me and said that there’s nothing he can do about it since when he brings up this topic with Fanly, she ignores him too. So, yeah. I blindly trusted the company and it was a mistake. If it worked and I wasn’t satisfied with the device, then I’ve no right to expect the shipping reimbursement. But it did not work and “Fanly” knew it too. But when I returned it she said that “the engineer tested it and it’s working fine” When I ask her about the video I made to show how the product didn’t work, she won’t reply again. Do not buy it. Save up for CIntiq. 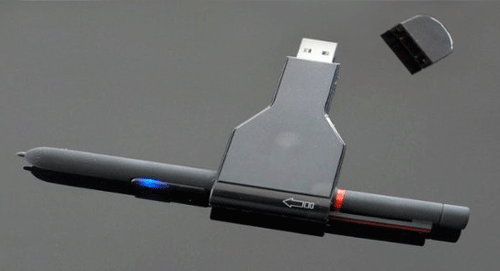 Have you had a chance to try Lazy Nezumi Pro with it? It’s a pen smoothing app I’ve developed, and I’d love to know how well it works with the Bosto tablets. Hi Guillaume! No have not had the chance to do that. I had no idea it existed! I will have to try that out for sure. Does it only work with Photoshop or does it work with any app that uses a brush tool? I might have to do a review of that if it is useful to me! It works with PhotoShop (as a plugin), but you can also hook other applications with it. I’ve tested it with a bunch of different art programs and it usually runs fine. Now I understand that if you have never used more than a normal graphics tablet that drswing on the screen is a whole new exciting world! 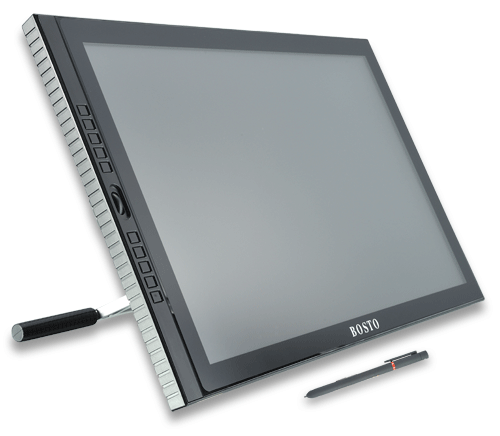 But if you have been using a Wacom Cintiq for over 6 years and then start using a Bosto tablet you will be in for a total let down. I feel I wasted $799 that could have went to purchasing a “real professionals tool”. Why you ask? Ok lets begin. – There’s a full 1/4 inch gap between your stylus and the screen, not a big deal you say? Try editing selections in PS. – The stylus has 2 buttons but ONLY one button is enabled/works. Seems to me an amateur B-grade thing to have in a product. – The calibration is horrible, and you will never be able to click easily up to the edges of the wide screen. – The stylus is so stiff (no matter what sensitivity settings I choose) that I always have to click 2-3 times. – Right clicking is ridiculous, you have the right click menu popping up all the way across the screen half the time. – If something goes wrong, guess what it costs to send back to China? – Keep in mind, if you try it and don’t like it like me. It will cost you $165.00 S/H + 10 restocking fee(another $70)! So almost $250 loss to try this product and see if Im wrong. 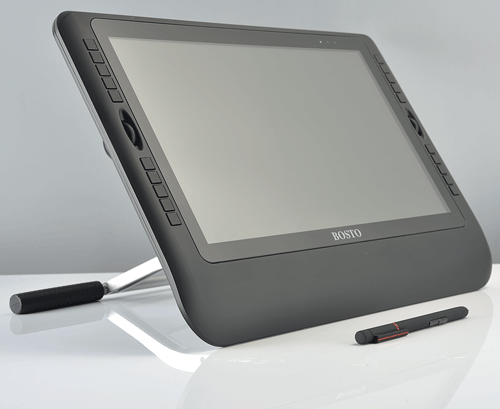 Save your money for a Wacom Cintiq, it is well worth professional quality.